Fulfill your goals at One on One! Meet with a member of our programming department for a Free Small Group Consultation! Come with specific goals in mind (eg "I want to sign with a commercial agent" or "I'd like to get more on-camera experience."). We will help you sift through the 100+ events that we offer at One on One on a monthly basis to find those that best accomodate your goals. We are unable to answer questions about whether an industry guest is interested in your type, but are happy to point you in the direction of the classes and sessions appropriate to develop your career. The group consultations are scheduled for an hour and limited to 8 actors at a time. After meeting Aaron Sandler of SirenSong Entertainment at One on One, Nicole is now working with him! After meeting Nicole Astell of Prestige Management at the Agent & Manager Panel, Dylan Palladino was called in to discuss representation! After meeting Nicole Astell of Prestige Management at the Agent & Manager Panel, Nick Ritacco was called in to discuss representation! After meeting Nicole Astell of Prestige Management at the Agent & Manager Panel, Makaela Shealy was called in to discuss representation! After attending a session with Henry Ravelo, Tommy BOOKED a commercial shooting in Barcelona! After attending a session at One On One, Matt was called in for a meeting with Jennifer Sclar of JHA Management! After attending a session at One On One, Jennifer Sclar of JHA Management called Alec in for a meeting! 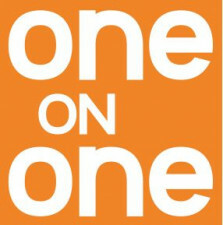 After attending a session here at One On One, Jennifer Sclar of JHA Management called Katherine in for a meeting! After being a reader for her session, Emily Sclar of JHA Management SIGNED Keith! After meeting David Krasner from Nani/Saperstein Management in a private session, Greg was called in to discuss representation!